Being in the glass industry for the last 80 years has made us want to tell the world about the most important feature of glass being its safety. Glass, which is susceptible to break easily, becomes safe when it is treated to make it less likely to break, or be less injurious if broken. 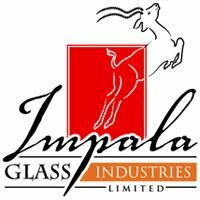 Impala Glass Industries, Kenya, manufactures two kinds of safety glass which include toughened glass and laminated glass. 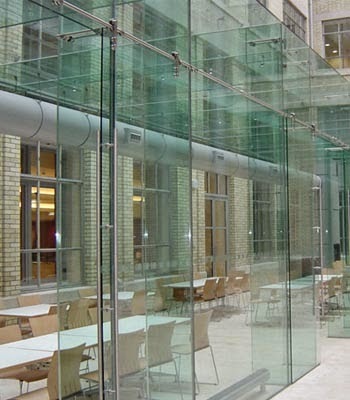 Toughened Glass, also referred to as tempered glass, is thermally or chemically treated to increase its tensile strength compared to ordinary glass. At Impala Glass, normal glass is heated beyond its annealing point of 600°C (1112°F) to remove any stresses from the glass that it underwent when it was being manufactured. Once heated, the glass is rapidly and artificially cooled. This serves to solidify the outside while leaving the interior molten. Layers are created instead of a solid sheet of glass. The temperature at which the glass is heated beyond the annealing point determines the strength of the resulting product. The strength of toughened glass is twice to six times as much as normal glass. Toughened glass is used in automobile windscreens, tables, display cases, as a component of bullet-proof glass, and various types of cookware. Toughened glass is also incorporated by interior designers and architects in interior doors, side panels and shower doors. This is because these require thermal resistance, strength, and safety which is provided by toughened glass.